Volunteer in Australia with Volunteering Solutions that offers a meaningful Conservation Volunteering Program across different cities in the continent and well as an epic Great Ocean Road Volunteering Experience. Gap year travelers and backpackers who are looking for enriching international work experience can travel to the Southern Continent and be a part of this project, to spend some time amidst nature and effectively contribute towards Nature's wellbeing. 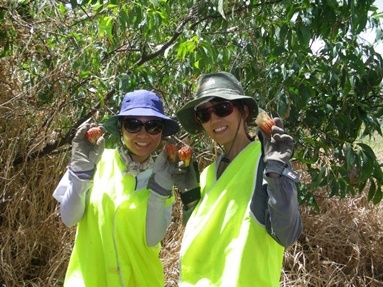 Both the Volunteering Programs in Australia are perfectly designed to provide the participants with an ethical, fun-filled and thrilling experience where they can work for the ecosystem and help to create a better environment. While you will have to work a lot, you’ll get to make some amazing friends, party with them, hit the beaches, wonder at some UNESCO World Heritage Sites and explore Australia in the most beautiful manner! Set out for the Great Ocean Road Conservation Volunteering Experience and enjoy the Australian vibes with some amazing peers. Your weekend scenes will depend entirely on which city you choose to volunteer. Well, it's needless to say that Australia is one of the most gorgeous continents in the world, and it's just not feasible to cover it all in one go. Rather, it'll be much better if you can properly chalk out the things to do nearby. If you are in Sydney, then, of course, you'll be hitting the beaches. 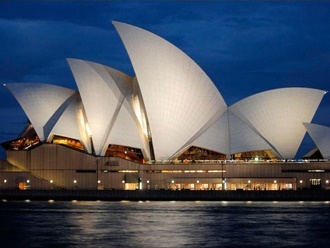 The Sydney Opera House – If you are volunteering in Sydney, you must visit one of the world’s most recognizable landmarks, The Sydney Opera House and experience it real up-close. Don’t miss out on running your hands over its world-famous shell tiles and remember how they felt. Sit in the most elegant white birch timber chairs inside to gaze at the vaulted ceilings. Here you can capture photographs from the rarest vantage points. Palm Beach – Soak up the sun in the world famous Palm Beach as you play in its shining golden sands, capture coastal views and experience some world-class surfing. You can reach here easily if you are already volunteering in Sydney. There are other activities here that you can participate in too like boating in the turquoise waters, hiking in the sands near Barrenjoey Lighthouse or even playing golf. For your worked up appetite, there are so places you can indulge in the best and freshest seafood. Royal National Park – It is accessible from Sydney and is the second largest National Park in the world, that combines beautiful beaches and cliff-fringe forests with deep valleys and rivers. You can even visit the heathland to hire a canoe and then head up to the Hacking River, or maybe stick to the coast and hike the cliff network. This park has everything from whale-watching and bushwalking to snorkeling, surfing, and fishing. 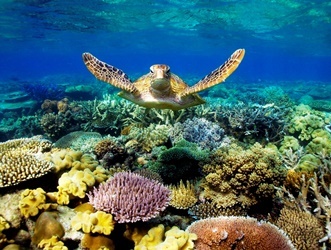 The Great Barrier Reef – If you are volunteering in Cairns then experience the Great Barrier Reef’s spectacular scenery. You can take a cruise here to enjoy comfortable accommodation and chef-prepared meals explore this Reef by snorkeling or diving! Blue Mountains National Park – This is a truly surreal destination to visit for those volunteering in Sydney! The Blue Mountains National Park is named as such because of the blue haze over the mountains that comes from thousands of eucalyptus plants that releasing oils into the air. This area has an unspoiled wilderness with aboriginal rock paintings, gorges and hiking trails. 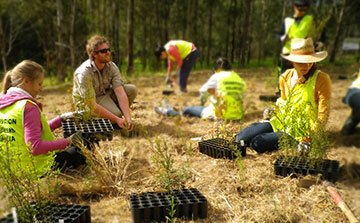 When should I apply for the conservation volunteer program in Australia? As we have limited spots available in our programs and we facilitate on ‘first come first serve’ basis, it is recommended that potential volunteers book their programs well in advance to get confirmed placements. You can book your slot by filling the application form online and pay the application fee of $225 + bank charges. You can pay your program fee later and also, in installments, however, the complete payment should be made 45 days prior to the starting date of the program. If you are volunteering in a group, you can also fill a group application form. After you complete your application, your personalized ‘My Account’ will be activated. You will need to upload your CV/Resume along with your photo in the same. Our backend team and the placement site takes around 10-12 days to review your application. After we review your CV and documents, your booking is confirmed and booking confirmation is updated in your ‘My Account’. Some projects need mandatory criminal background check and the same is mentioned in the project info of your program. Approval of your application depends on your qualification and eligibility criteria for each project. Are there any necessary requirements to participate in the Australian volunteer programs? – The minimum age requirement for the volunteers is 18 years and above. – Need to have an open mind and flexible attitude for working in a new and different environment. – The volunteer should bring energy and enthusiasm to make a difference. – Participant must be in good health. We encourage our participants to volunteer in a group. We take special care in providing you a placement and also customize your itinerary to make sure you get exactly what you are looking for. Also, we can design special group programs for groups of 5 or more. Our programs are designed to be safe, affordable and offer a great group volunteering experience to the volunteers. In our experience of more than 12+ years, we have enabled and facilitated volunteer program placements for student groups- college groups, university groups, high school groups, group of families, group of couples as well as a group of colleagues. Visit Group Volunteering page for more information. 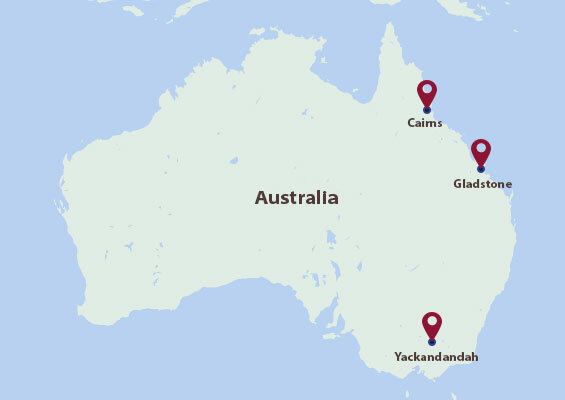 What are the Program locations in Australia? Can I volunteer in more than one starting location within Australia ? Yes – many volunteers choose to make bookings from two or more starting locations. If you choose this option, you’ll need to arrange and pay for your own travel between starting locations. You should either leave a week in between your bookings, or arrange to rejoin at your new starting location on Monday morning as we cannot accommodate volunteers arriving on weekends. When do I need to arrive in Australia for my program? What will happen once I arrive in Australia? All volunteers are required to arrive in the nearest airports at their preferred location in Adelaide, Brisbane, Cairns, Canberra, Darwin, Melbourne, Perth, Sydney. You will be provided with the official address in your preferred city. You will have to report there by 11 AM for the Orientation session. After your Orientation, you will meet the other volunteers and our team members. You will then be transferred near your project location where you will start with your project on Monday. Does Vol Sol provides discount if I choose more than one program or if I am a returning Volunteer? If you are planning to come for multiple programs in your trip, you will have to pay the application fees just once. Your application fees is valid for a year's time (from the date of application). You will not have to pay the application fees again if you come within the mentioned time frame. If you decide to volunteer in separate programs in multiple countries, you will need to fill separate applications. Does Vol Sol provides with a reference or a certificate after program completion? Volunteers traveling to Australia need to have a valid visa. We provide with the necessary supporting documents for your VISA application processing. More information shall be provided after you become a Volunteering Solutions enrolled participant. What are the recommended airlines to fly to Australia ? Australia is a tourist friendly destination. The country welcomes you with open arms. However, you have to use your prudence to stay out of the harm’s way. For example, stay in a group or with the fellow volunteers, especially when you want to hit the bar or go grab a drink. Inform your coordinator if you have plans to explore the city alone, keep your emergency contact details always with you. Your pre-departure booklet is a good source of information for you and you must read that diligently. We recommend you to consult your physician or travel doctor before travelling to Australia. You will need to make your own way to the office which is your starting point. All our offices are at central locations, and we will provide directions to help you get there. You need to plan accordingly, in order to arrive at the office by 11am on Friday morning, and be ready to start your program. A member of the in-country coordinating team will take you to your placement and introduce you to your project after giving you a basic orientation about the program/city/culture etc. You will be briefed about the directions to the project from your accommodation and the mode of transport as well. Can I know more about the accommodation and food arrangements? Accommodation will vary according to each project location. Typical accommodation includes volunteer houses, caravans, hostels, bunkhouses and camping (we supply the tents). Volunteers are allotted accommodation on sharing basis. For breakfast, we usually provide cereals, bread or toast, tea and coffee. Lunch is normally a self-made sandwich and fruit; in the evening we enjoy a meal prepared by the group, typically something like pasta, roast or a vegetarian option. Volunteers help with the preparation of meals and cleaning up of dishes, plus some domestic duties as required. We rely on every volunteer to participate fully in the program, and the evening meal is a popular part of the day. Yes, however you must inform us in advance and also mention about any dietary requirement in your application form. Are there more expenses once I arrive in Australia? Your program fee covers your Accommodation, Food and In country Support. You will need to cover your personal expenses, such as local transport, telephone, internet, shopping, weekend trips etc. However, you should carry around $70-80 per week for your basic personal expenses. This amount can vary and you would need a higher amount if you go on weekend sightseeing tours. Where can I change my money in Australia? Are there ATMs in Australia? Plenty of money exchange counters and ATMs are available at the airport as well in most the Australian cities. Volunteers usually work for 7 to 8 hours a day depending on their program. You will have weekend off, so you can travel on weekends. However, volunteers need to be flexible, open minded and understand that work requirements can change as well on certain occasions. How can I connect with past Volunteering Solutions Australia alumni and other former and current volunteers? We encourage volunteers to get in touch with former Volunteering Solutions Australia program participants and also other program participants joining our projects. You are recommended to join the Volunteering Solutions Facebook Page or Facebook Group to connect with other participants.